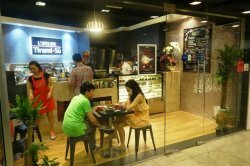 Finally stepping into this little cafe after passing by it several times on the way to Clarke Quay station! The seating capacity is really limited and the four of us shared a small table at the side. 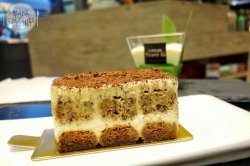 There are many raves on the Tiramisu cake here being the best in Singapore! 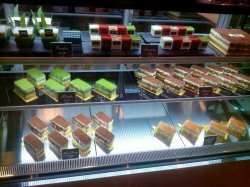 Besides their Signature Classico, there are also Dark Cherry, Matcha, Lychee and a newly added flavour, Pandan. One of my friends suggested going for the Sampler so we can have a taste of all the flavours! 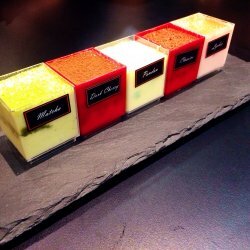 My favourite is the Classico, followed by Matcha and Dark Cherry. 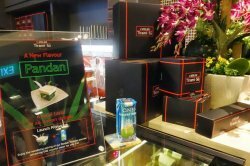 The Lychee and especially the Pandan tasted weird to us. 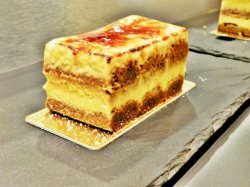 We all agreed that the Classico is the best and ordered a slice to share. 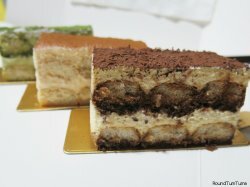 I don't really like sponge cakes but the one here is moist with a right amount of creamy mascarpone and coffee liquor! 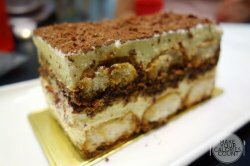 Well thus far, the best slice of Tiramisu I had! 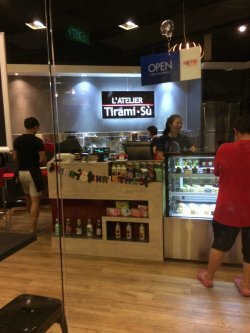 Despite my familiarity with The Central at Clarke Quay, i spent a good 15 minutes walking round and round the basement maze searching for this little store. You'd pass by it if you take the train underpass into the shopping mall and it has taken over the dance studio for wannabe hipsters (yay to that). 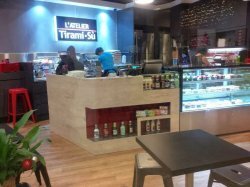 The shoebox cafe only serves tiramisu, along with coffee from Liberty Roasters and tea. 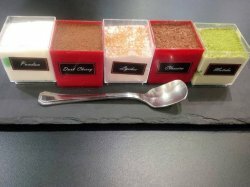 Four flavors are available– classic, lychee, dark cherry and matcha and they are made from a French family recipe of the owner's in laws. 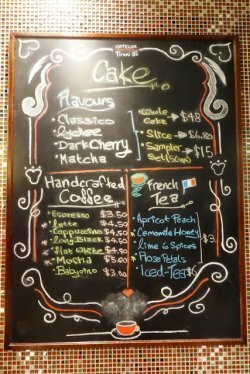 A slice of cake would set you back by $6.80 but it was a rather generous slice with Liberty espresso soaked ladies' fingers and liqueur with Marsala wine. Here is a close up of the Classic. The sponge was like a spongy chiffon that soaked up all that delicious elixir. I would prefer for it to be entirely soaked though as i thought the center was a little dry. I guess soggy ladies' fingers wouldn't be as appetizing or structurally sound but who cares! The mascarpone cheese with dusted cocoa was simply irresistible, so much that i practically inhaled it. 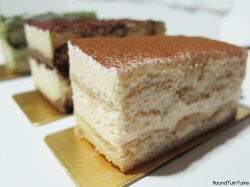 The cream was light and fluffy instead of rich and heavy as per my usual preference but it allowed me to easily devour the entire slice on my own. 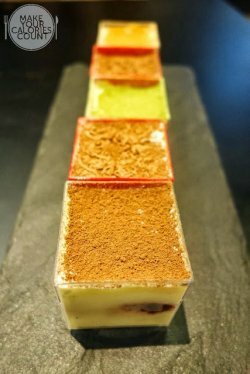 I didn't think that the 5 mini cup samplers ($15) were sufficient for a good taste of the tiramisu so just stick with a slice (or two). 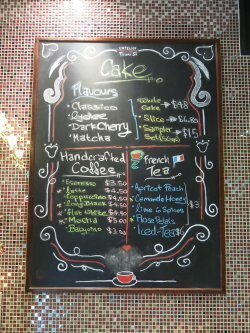 The Dark Cherry was kinda like a blackforest cake with plump sweet (not artificial) cherries in the mix. 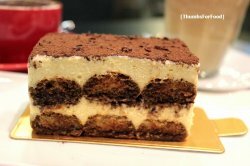 It's nice as a cake, but it's not really a tiramisu to me. Yes i'm conventional that way. 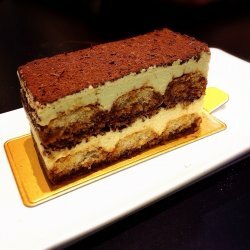 Glad to say that I have found my No.1 Ranked Tiramisu in Singapore! 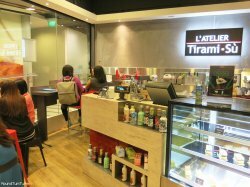 Tucked away in a corner, it is easier to find this place if you head up to B1 from the MRT. I had quite a hard time finding the place when I came down from the first level. 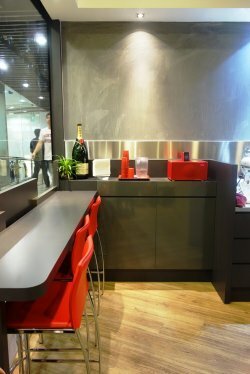 Quiet and comfortable with limited seating, you might find it hard to get seats if you meet the after dinner crowd. 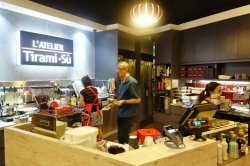 I would suggest heading over between 3pm - 5pm where they are currently having a coffee promotion where 2 cups are priced at $7 bucks. This is probably the one which I love the most! 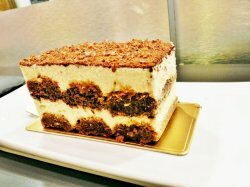 I like how light and delicate tasting it was, with the coffee complementing and not overwhelming the entire taste of the cake! 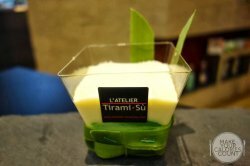 Probably the sweetest one out of the lot, it was be great for sweet tooth who like a hint of fruity flavor injected into their Tiramisu. 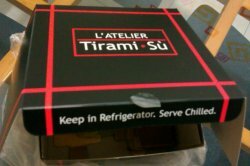 it is definitely my first time trying a Lychee Tiramisu and I find it pretty refreshing! 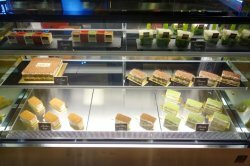 I had a hard time deciding between the green tea and classic flavor as my favorite! 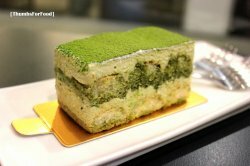 You will love this if you are a matcha fan. 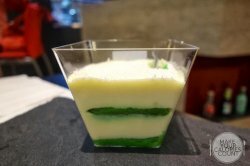 The green tea powder had a very slight bittersweet taste which I really like. 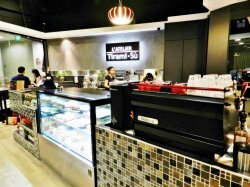 Definitely another must try at the cafe! There is another dark cherry flavor available which i didnt get to taste. 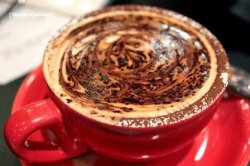 So perhaps I should plan another trip down to try it as well as enjoy a cuppa of coffee while I am at it! For other food recommendations, head over to RoundTumTums.com to find out! 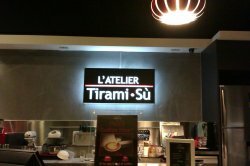 Definitely return for the classico tiramisu! 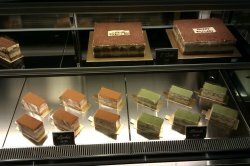 Walked past this cafe selling different flavours of tiramisu cakes - they have dark cherry, original, matcha, and lychee, priced at $6.80 per slice. 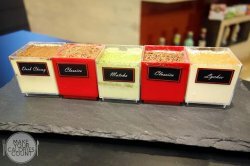 They also have mini samplers of all different flavours but was quite costly. 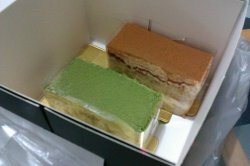 I bought home the matcha and lychee flavoured one. 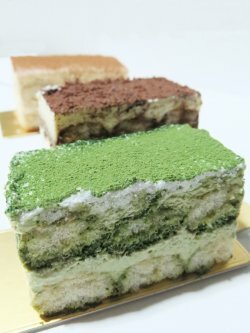 The matcha one was better as the green tea taste was distinct. The lychee one, on the other hand, was very soggy, and very artificial tasting - real lychee bits were added in though.